This synthetic measuring wheel has a solid metal kickstand. Reflector on handle - more safety on roadworks. 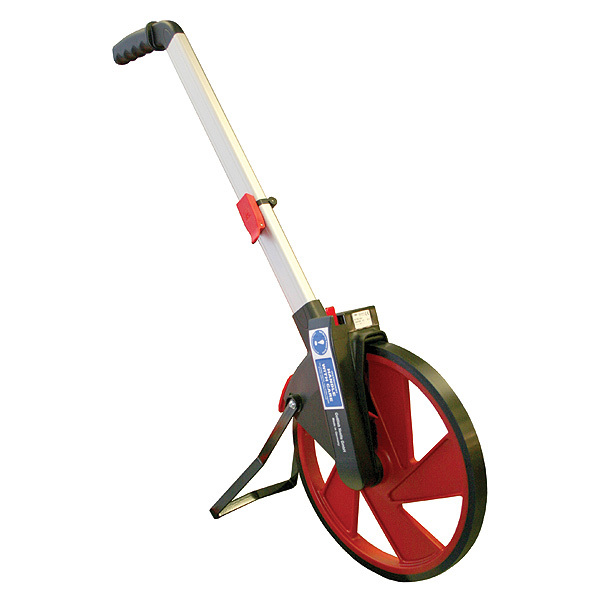 The synthetic measuring wheel is easy to handle, because of its lightweight construction. Quality measuring wheel made in Germany. Counter mounted directly above the wheel, easy to read while handling the wheel. 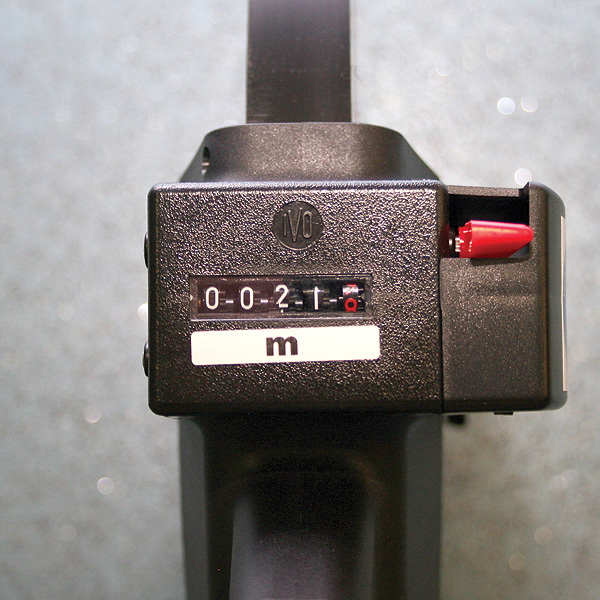 Zero-set lever attached to the counter for quick resets. Integrated brake prevents unintentional changes of the measuring result. Foldable handle for space-saving transport with quick clamping. Quick clamping on joint for fast setting up. Lightweight materials are combined with solid manufacture - ideal for work constructions. The plastic material is reinforced with fibreglass.